Manny Pacquiao: Best. Meal. Ever! Step into Manny Pacquaio’s shoes for one day, and you’d probably have trouble walking the next morning. During a day where he’ll run, spar and weight train, Pacquaio sheds calories quicker than he does opponents—oftentimes burning up to 2,500 calories per workout. But to maintain his 147-pound fighting weight, the training is only part of the championship equation. On most days, Pacquaio finds himself battling a diet in excess of 7,000 calories -- or more than double what the normal American consumes. It’s all part of the routine that has helped Pacquaio become the first and only fighter to win in eight different weight divisions. The Pac-Man’s secret? A surprisingly simple, yet flavorful diet that features two post-workout meals -- each featuring a mix of protein and carbohydrates. 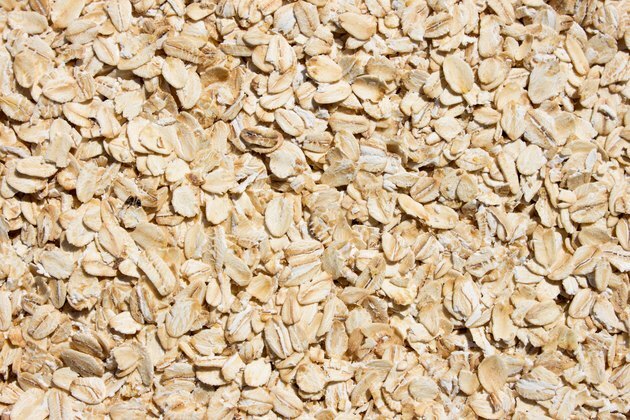 The knockout nutrition plan starts with oatmeal, the one food he eats after every training session -- whether he’s running, boxing or lifting weights. In addition to the carbs from oatmeal, Ariza punches up the anabolic potential of the champ’s post-workout meal with 30 grams of protein in a drink made from two scoops of Designer Whey protein mixed with water. But the oatmeal is really just an appetizer that fuels more grueling workouts and leads up to a second post-training meal that features one of the champ’s favorite foods. In the afternoon, Pacquaio heads to Wild Card Gym where training sessions in the ring focus on a game plan created by coach Freddie Roach. There, Pacquaio eats a second post-workout meal of beef tapa, a Philipino dish of thin strips of sirloin cured in sugar, soy sauce, garlic, and black pepper that’s boiled and fried. Sides include steamed white rice, tinolang manok, a chicken-based soup with ginger and greens, and a plate of melon and mango. “Pacquaio’s calories are through the roof, so the next day he can put in the same intensity and he doesn’t burn out,” says Ariza. “If we’re not hitting those calories, Manny’s burning muscle and he can’t afford to do that,“ the Colombian-born trainer explains. What makes it a healthy meal? Kate Matchett, registered dietitian at Sport CARE at Women’s College Hospital in Toronto points out carbohydrate is most the important nutrient to replenish glycogen stores, an athlete’s main source of fuel during a workout. How to make the meal even healthier? Method: Combine all ingredients, letting the mixture cook for 20 minutes; serve. What Do Professional Soccer Players Eat?